Image 1 of 15: Private swimming pool at Sweet Escape Villa. 2 of 15: The Master Bedroom, on the upper level. 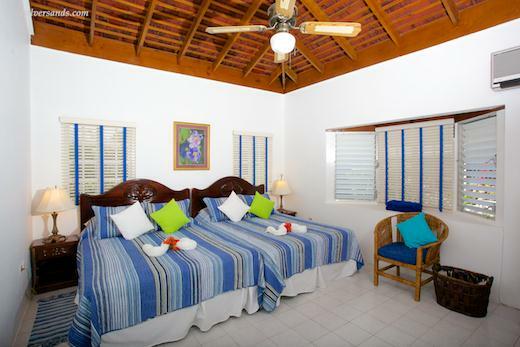 It opens out to a private balcony with a view of the Caribbean Sea. 3 of 15: The Living Room with lots of comfortable seating. It opens out on three sides to the Verandah and Pool Area. 4 of 15: The Dining Room lies between the Kitchen and the Living Room. 5 of 15: Enjoy picnic-style outdoor dining poolside. 6 of 15: The pool area lines the front of Sweet Escape. 7 of 15: Bedroom 2 is furnished with a queen bed. Patio doors lead to the private pool. 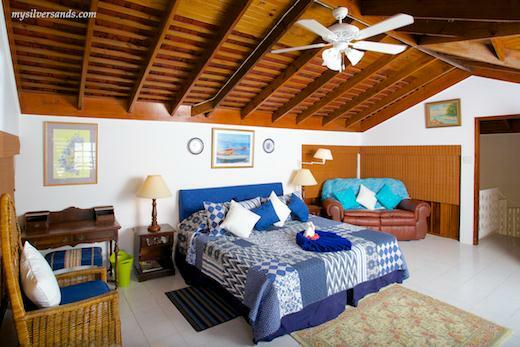 8 of 15: Bedroom 3 is furnished with 2 double beds. 9 of 15: Bedroom 4 is furnished with a queen bed. A wide doorway leads to the pool area. 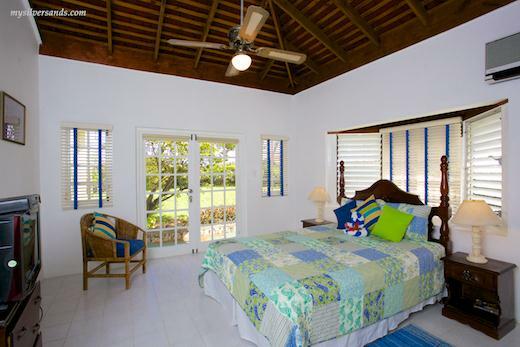 10 of 15: Step out of the Master Bedroom to a breezy balcony where you can catch some sunshine and a view of the Caribbean Sea. 11 of 15: The Master Bathroom occupies a large area with a separate face basin area, shower and toilet, and large walk-in closet. 12 of 15: Master bathroom with shower over bathtub. 13 of 15: Bathroom 2 with shower over bathtub. 14 of 15: Bathroom 3 with shower over bathtub. 15 of 15: Bathroom 4, with shower over bathtub. 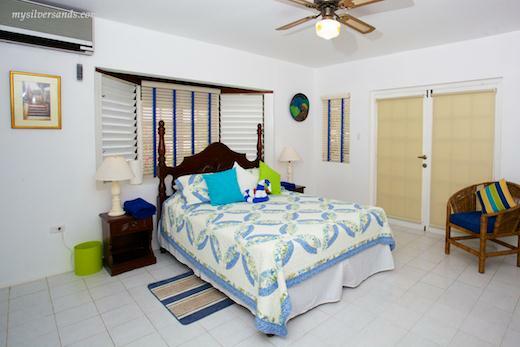 Sweet Escape is a comfortable split-level 4 bedroom vacation home with private pool, located just a short walk from the sea at Silver Sands, on Jamaica’s fabulous North Coast. The master bedroom with a private balcony offers sea views while the large living room is ideal to spend time with your family watching your favourite DVDs on the 42” Plasma TV with surround sound. Private pool, just off the entry porch, with privacy fence surround. Large master bedroom located on upper level by way of spiral staircase. Private balcony off master bedroom on upper level with sea view. Large and Comfortable high-ceiling living and dining room area. Living room equipped with CD player, books, Cable TV (42" HD Plasma TV with surround sound) and DVD player. Telephone, Free ADSL (high speed broadband) wireless internet connection. All bathrooms have showers and bathtubs. Cook & Housekeeper work flexible 8 hour shifts at guests' preference (7am-3pm; 8am-4pm; 9am-5pm). Cook and housekeeper can work different shifts if required. See More about Sweet Escape. Sweet Escape costs from $349.00 to $479.00 per night.